London, United Kingdom: In a statement issued today, the Executive Board announced that Mexico had gained the permanent membership of the International Youth Federation. 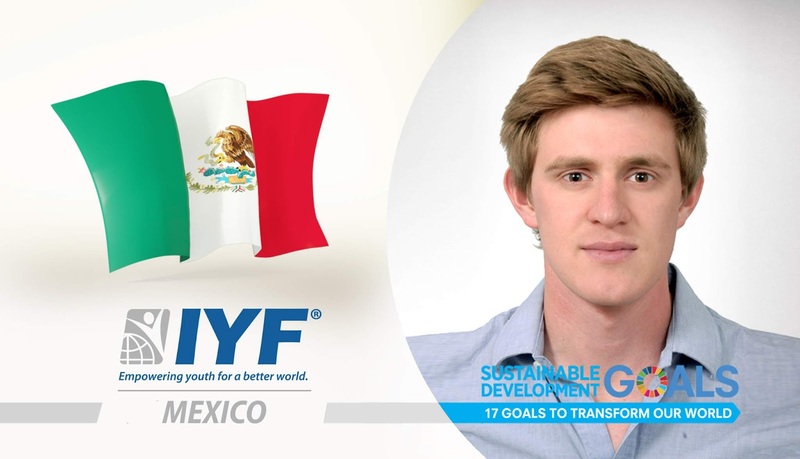 Our vision at the IYF is to enable Mexican youth to get their voices heard and giving talented and motivated young people the opportunity to acquire the skills and knowledge to actively contribute to the development of their societies. Mr. Anastacios is a young leader passionate about youth empowerment and community development. Anastacios life’s goal is to improve people’s lives and he chose social entrepreneurship as the vehicle to accomplish his life’s goal. He has experience in venture capital, acceleration programs, business consulting and company building. Mr. Anastacios holds a Bachelor’s degree in Political Science from Instituto Tecnológico Autónomo de México (ITAM).